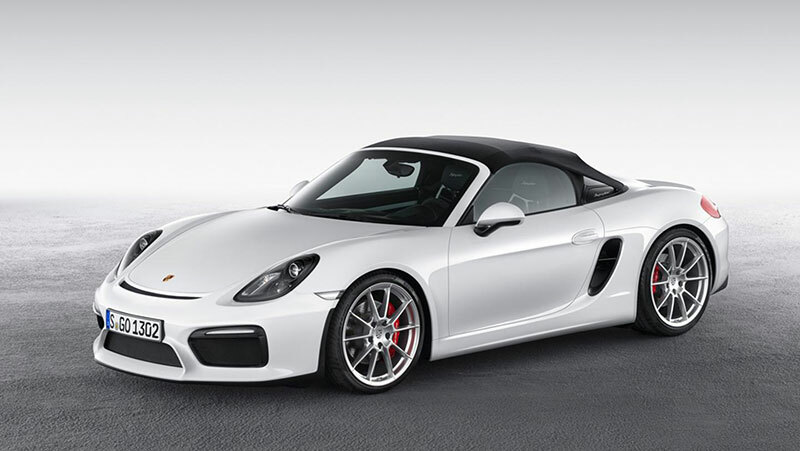 Porsche is beginning the 2015 convertible season with the new Boxster Spyder. This purist sports car will make its debut at the New York International Auto Show. The new top model in the open two-seater series retains the independent character of the previous Spyder, which has already attained cult status. For example, the classic fabric roof is still opened and closed by hand, and the sports car is only available with a manual transmission. As a true original roadster, the Boxster Spyder offers a traditional sports-car driving experience but with contemporary performance. This means a firm sports suspension with a 20-mm lower ride height, brakes taken from the 911 Carrera, more direct steering, and a 3.8-liter six-cylinder engine with an output of 276 kW (375 hp) (fuel consumption combined 9.9 l/100 km; CO2 emissions 230 g/km). 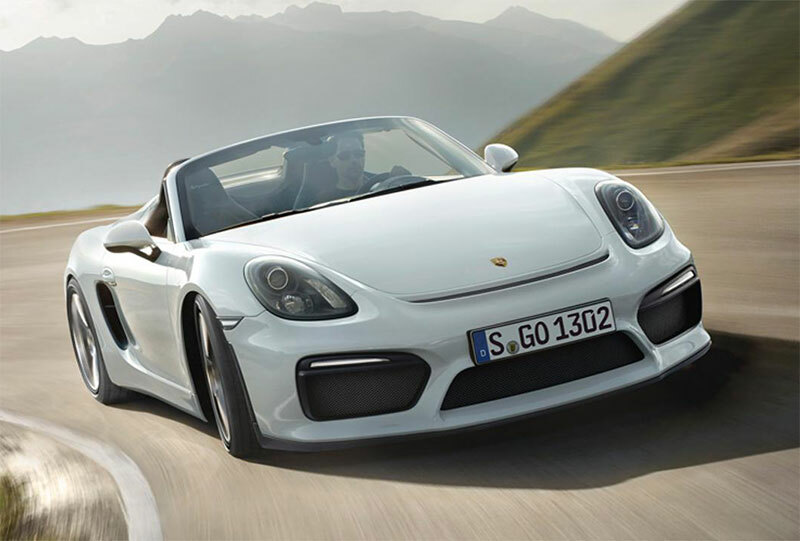 Drivers and passengers can thus look forward to a genuine sports-car experience with outstanding driving dynamics in the lightest yet most powerful Boxster there is. 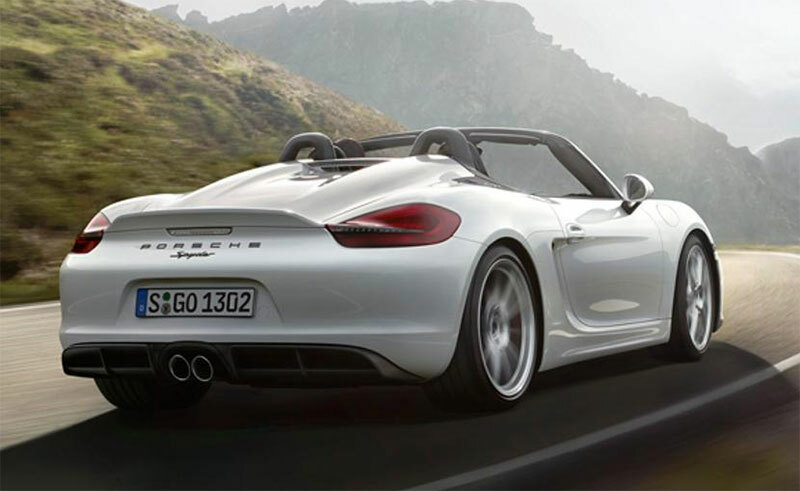 It only takes around 4.5 seconds for the Boxster Spyder to sprint from 0 to 100 km/h; the model’s top speed is 290 km/h. NEDC overall fuel consumption amounts to 9.9 l/100 km. 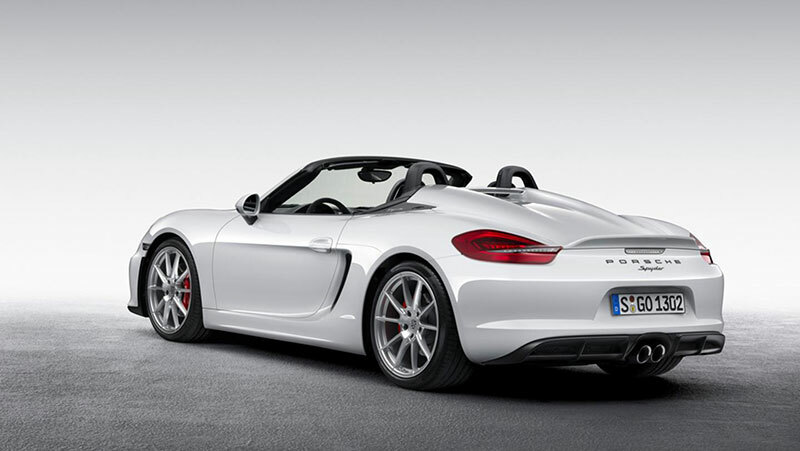 The new Boxster Spyder will be launched on the market in July and can already be ordered at dealerships.